Perched on the banks of the Fore River in Portland is Maine’s busiest commercial airport. Mainline service includes Delta, US Airways, Jet Blue and Southwest(previously AirTran). 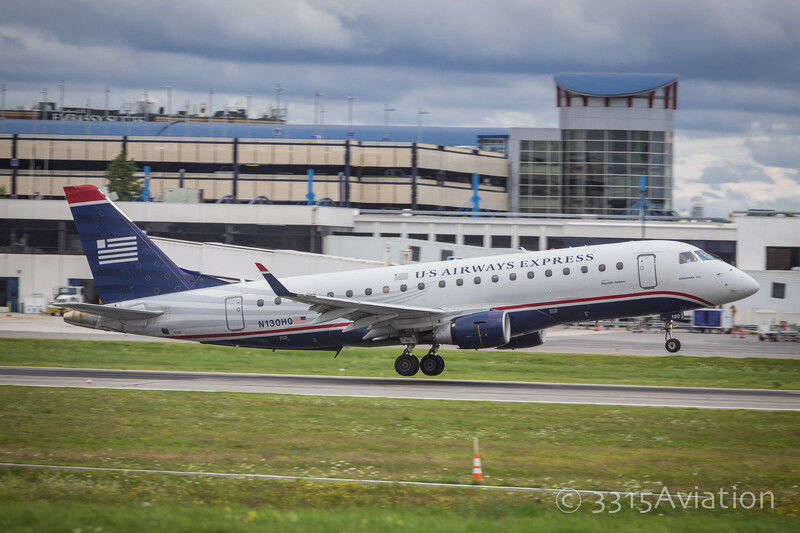 Also operating out of PWM are regional carriers for US Airways, Delta and United. My experiences at PWM are limited, having only flown out of there 4 times on 3 separate airlines. However, each experience was top notch. 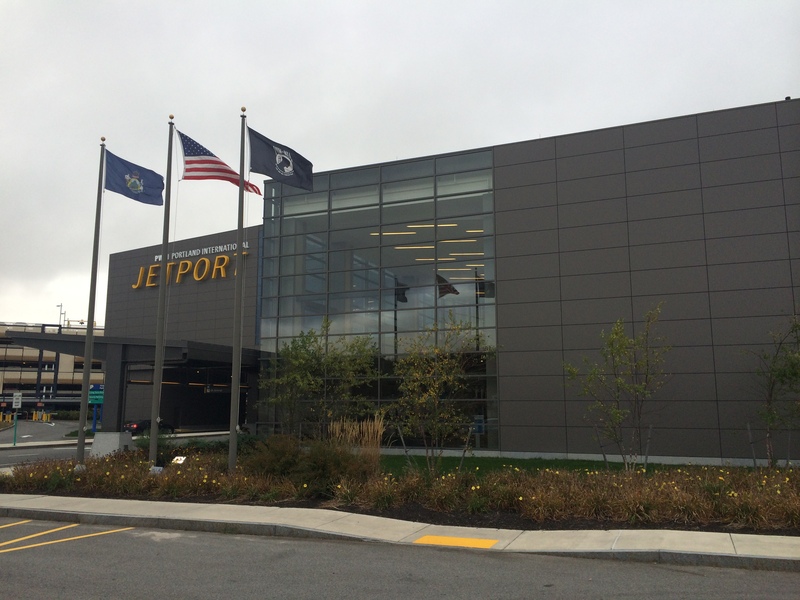 Servicing almost 950,000 passengers so far this year, the Jetport is set up to handle them with ease. Depending on the length of my trip, I will park in the long term garage which has ample space and easy access to ticketing counters and baggage claim on your return. 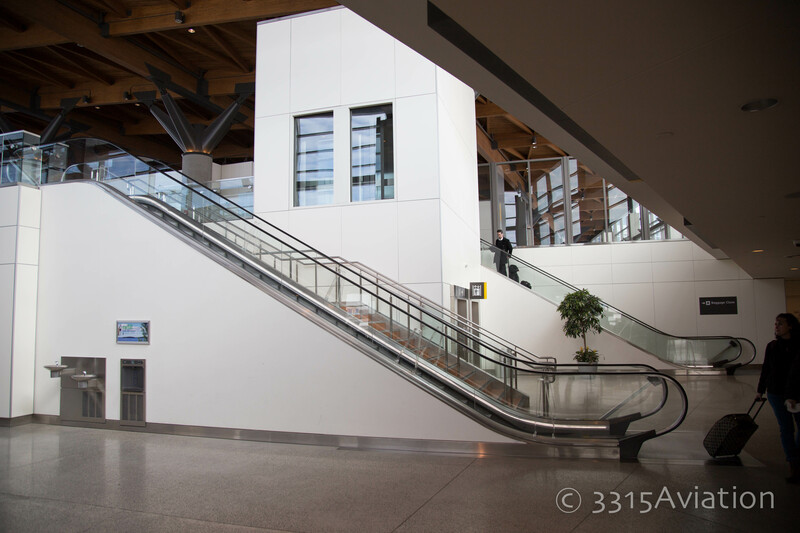 When you enter the new terminal, you are greeted with extremely high ceilings, floor to ceiling glass to let in ample amounts of natural lighting and some beautiful exposed wood. Depending on the airline, there are self check in kiosks to collect boarding passes if you aren’t already using your airline’s mobile app. Even in peak hours of the day, check-in isn’t very time consuming at all. Don’t make the mistake I did on a previous trip. Forgetting that the check in counters had moved, I came in through an entrance further down in the terminal, basically giving me more cardio that I wanted for that day after I walked from the baggage claim area to the ticketing counters. Sure I needed the exercise, but I hadn’t had any coffee and well, I’m sure you all feel my pain. If you’re one of those lucky individuals with TSA PreCheck, skip this section. And just know I’m envious. Once you check in, an escalator off to the left of the ticket counters awaits to carry you to the TSA checkpoint. As you make your way to the left, you are greeted with a large, open area with the standard maze of lanes bringing you to the checkpoint. If you look towards the windows you will see an old airplane hanging from the ceiling. When the expansion took place, the expected vs actual traffic was different and one or two of the walk through scanners were removed. Again, during peak operations, you’re not going to wait that long. Unlike O’Hare where you can feel the grey hairs growing as you wait in line. After the checkpoint you go down an escalator to the flight concourse. 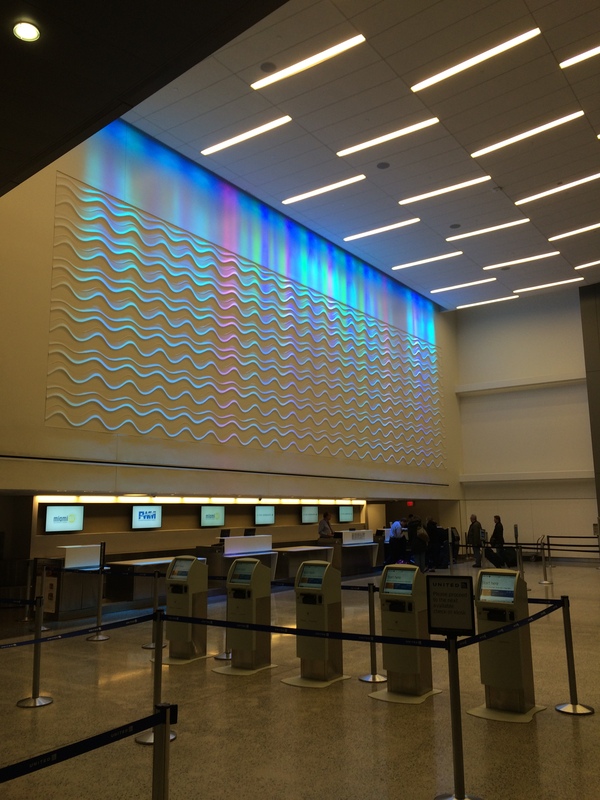 Depending on your airline, you may or may not be in the newer terminal area. Most of JetBlue, Southwest and I believe United are in the older section of the terminal. Delta and US Airways/American occupy the gates in the new section. 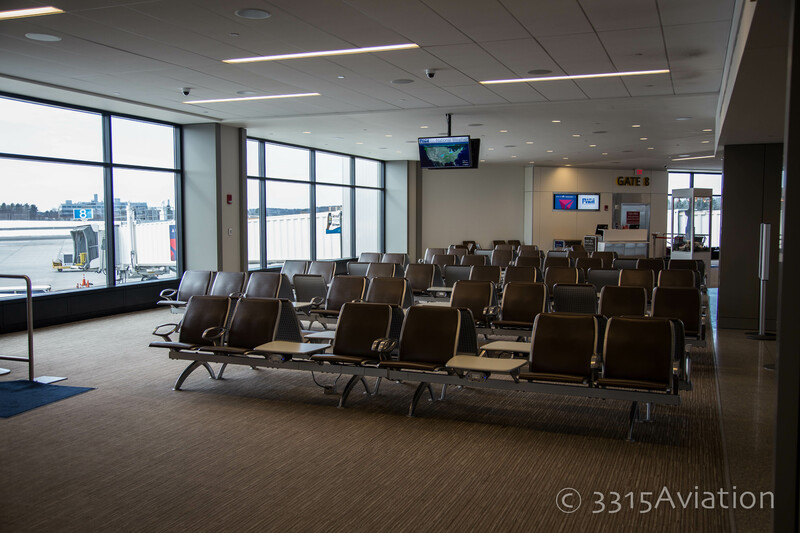 In the older areas of the terminals, the seating is hit and miss depending on the aircraft you are waiting for. There is ample natural lighting and the views of the runways are great for a little plane spotting(more on that later). In the newer section, the seating is better, particularly in the Delta area, but still can get tight depending on aircraft servicing your route. The Jetport does a great job of bringing a little bit of Maine into it’s concession offerings. Linda Bean’s Lobster Cafe and the Shipyard Brewing Company Brewpub offer great tastes of Maine. When I travel I always search out local beer offerings. The craft beer industry in Maine is growing by pony kegs and barrels with Shipyard leading the way. Dive into a finely crafter Maine made beer before your flight. Especially if you’re going to LaGuardia. If you’re flying out early in the morning, don’t panic, there is a Starbucks to get your caffeine fix. Other food offerings include Burger King and the Great American Bagel Bakery. Other Maine based shops include the Cool As A Moose store and the Downeast Magazine Marketplace. When you arrive at the Jetport, after exiting the plane, the baggage claim process is relatively painless. Following signs down toward the end of the older terminal area, an escalator will bring you down to another Shipyard Brewpub, you know, in case you’re thirsty. After that are the baggage claim carousels. Once you grab your baggage there is plenty of ground transportation available from rental cars to taxis outside. If you flew out of the Jetport and parked onsite, it is a short walk across to the parking garage. There are a couple different options for parking at the Jetport. The mentioned garage for short and long term parking and a lot that is for long term and is cheaper than the garage, but a longer walk. If you’re tech savvy, check out Groupon. There have been deals on there for parking at a lot that is just off airport property that offers the ability to have your car serviced or detailed while you are away. I haven’t used it personally, but have seen relatively good reviews on Groupon for it. My initial reason for this site was to showcase the random aircraft that transit through Bangor International. Quickly it turned into that and much more. Plane spotting in the post 9-11 era is a very touchy subject. Fortunately the people at the Jetport support our hobby. So much that they have a dedicated parking lot on the opposite side of the field, with a large sign showcasing the various aircraft that frequently fly in and out of PWM and the carriers that operate them. The park provides a great view of planes rotating on departure or touching down on approach with Portland and Maine Med/Mercy Hospital in the background. I can’t find any reason to not give the airport top marks. The team at PWM work hard to keep the facility in tip top shape and running smoothly. Granted, I don’t typically fly through here unless there is a major price difference or schedule requires me to. I’m willing to pay a little more and fly through Bangor and be hone 20 minutes after the plane lands at the gate than 2 hours. But that isn’t a knock on PWM by any stretch. The airport administration embracing us plane geeks is also great. If you have time, stop by Chipotle and grab a bowl then venture over to the parking lot by the runway, enjoy some lunch and enjoy the air show. You never know what is going to stop by.